Making chocolate-covered strawberries is also a fun afternoon project to do with your children. You can dress up the berries with a drizzle of white or dark chocolate or by marbling different kinds of chocolate together. 1. Pour the milk chocolate chips into a bowl. Microwave for about 20 seconds on high power. Remove the bowl from the microwave, and stir the chocolate with the wooden spoon or rubber spatula. Microwave again for about 20 seconds, and then stir the chocolate again. Continue to microwave until the chocolate is completely melted and smooth. Repeat with the dark and white chocolate. 2. Line a baking sheet (or cooling rack) with a piece of parchment paper. Set aside. 3. Pick up one strawberry, and dip the non-stem end of it into the milk chocolate. You want about three-fourths of the strawberry covered in chocolate. Place it on the parchment-lined baking sheet to set. Dip about a third of the strawberries in the milk chocolate, and set them aside on the baking sheet. 4. Dip about half of the remaining strawberries in the dark chocolate. Place each strawberry on the baking sheet. Dip the remaining strawberries in the white chocolate. 5. When the milk chocolate on the strawberries is set but not completely hard, dip a strawberry in the dark chocolate, covering about half of it. Dip another milk chocolate-covered strawberry in the white chocolate, coating about half of it. You want a bit of the milk chocolate to peek out along the top edge of the white and dark chocolate. 6. Repeat with some of the other strawberries, dipping them into contrasting chocolates. You can also drizzle chocolate over top of the strawberries by dipping a folk into the melted chocolate and slowly pouring it on the strawberries. Allow the chocolate to set completely for about an hour before serving the berries. 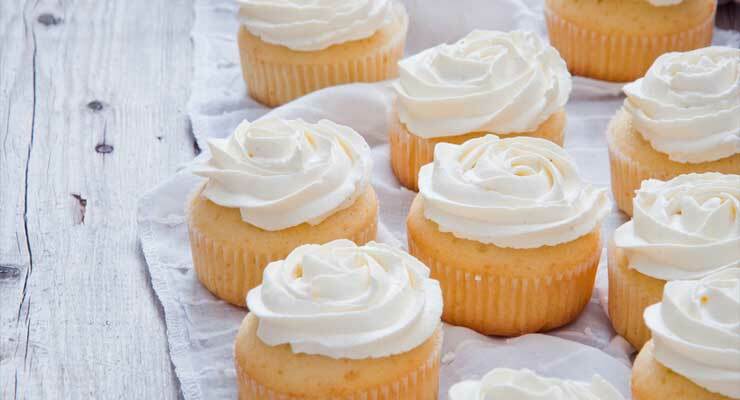 How Long Can Cupcakes Be Stored After Baking?